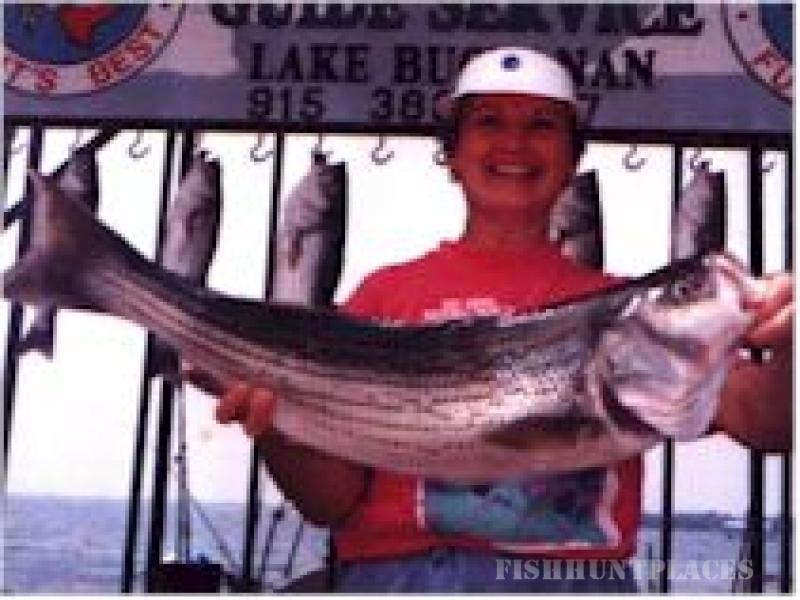 Join us on Lake Buchanan for some of the finest Striped bass fishing in Central Texas. Jim Crawford has been a full time Striper Guide since 1985. 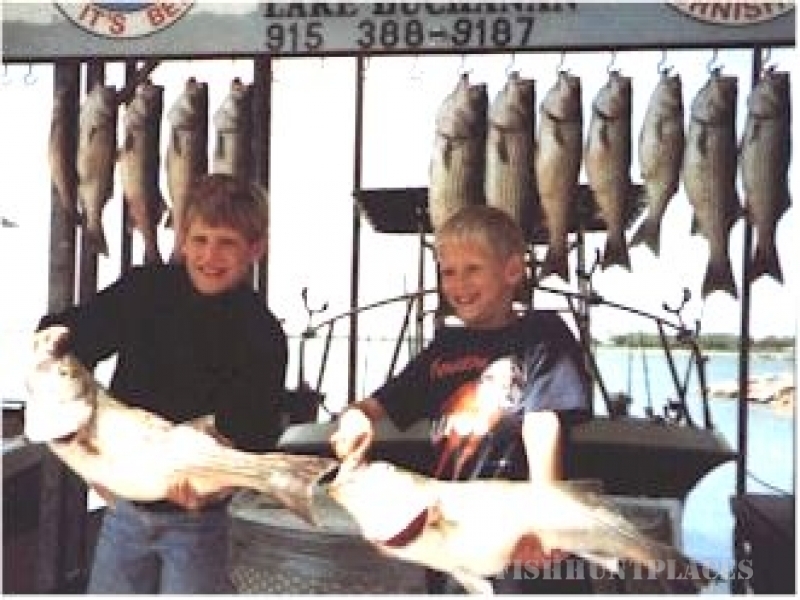 Lake Buchanan is known for many kinds of fishing - catfish, crappie, largemouth bass, white bass and striper. Jim Crawford Guide Service offers guided striper fishing trips for every level of fisherman or woman! Our trips are great for familes and kids! 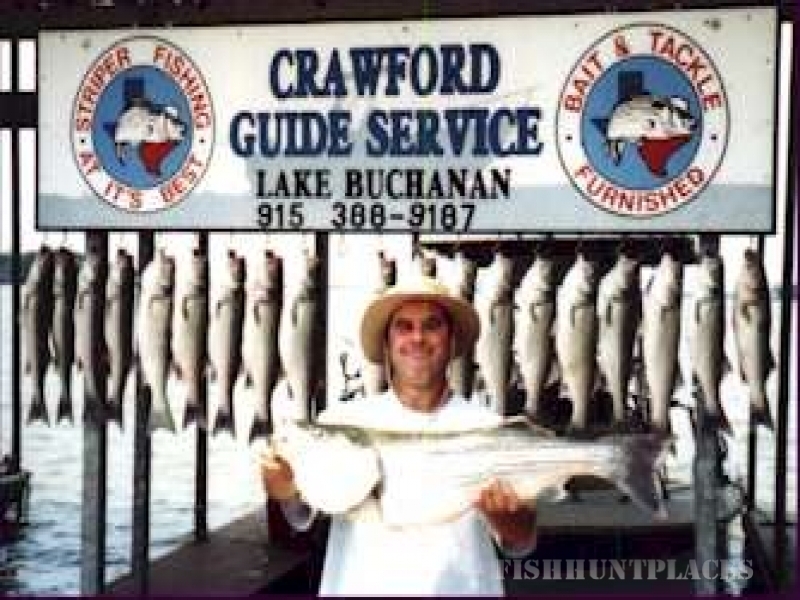 Enjoy the thrill of catching a Striper (Striped bass) on Lake Buchanan and also enjoy the beautiful surroundings of this lake. Nestled in the Hill Country of Central Texas, a panoramic view of these hills is available. The upper end of the lake (river inlet of the Colorado River) has many cliffs, bluffs and waterfalls.